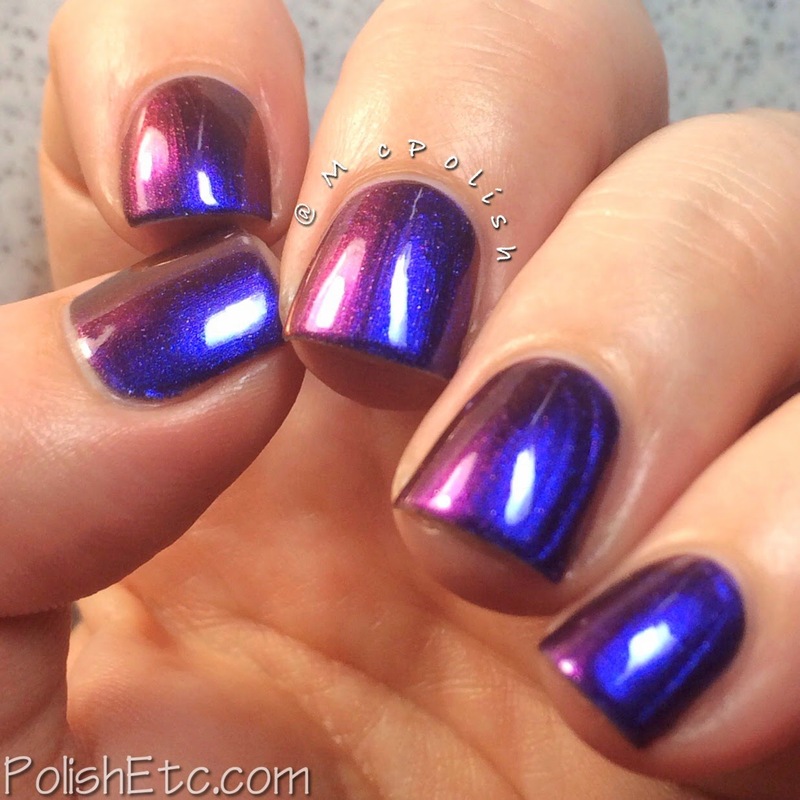 KBShimmer - Pigment of my Imagination - Polish Etc. Get ready for some color shifty awesomeness! Straight on shot showing off the deep blue base color. Slightly angled shot with two light sources to show off the blue-purple shift. 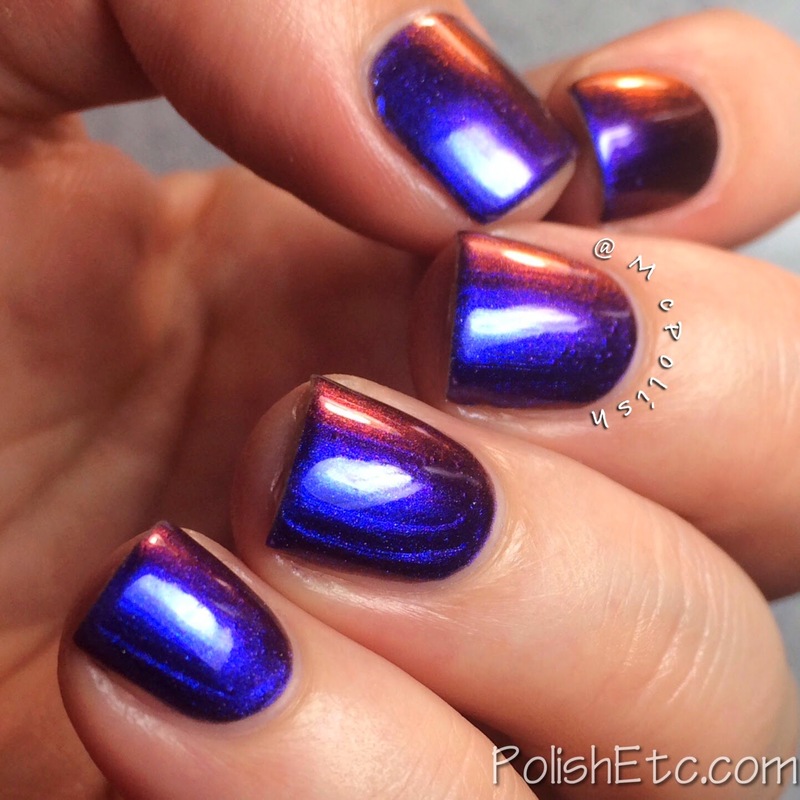 More blue to purple/red shift. Greater angled to capture the shiftiness. Water droplet macro to REALLY bring out all the colors in one shot. Thank you! I always end up taking so many pics of these types of polishes. I saw so many people use little water tricks with thee multichromes when they came out. It really looks awesome. The idea with the droplets is simply amazing! :) Awesome! WOW, your last shot is breathtaking ! SO beautiful !